Yet Another CLAT-Astrophe: Errors Galore In CLAT 2018! The Common Law Admission Test (‘CLAT’), the entrance examination meant for admissions to National Law Universities (‘NLUs’), has run into rough weather yet again. This year’s CLAT, conducted by the National University of Advanced Legal Studies (‘NUALS’), was plagued by numerous technical glitches, leaving many aspirants with less than their entitled quota of 2 hours to complete the exam. Technical glitches aside, candidates from across the country allege that the exam was marred by poor infrastructure, incompetent invigilators, and cheating, among other problems. The enormity of the mismanagement could be gauged from the fact that up till now, petitions have been filed in as many as 6 different High Courts (see details of some of them here, here, and here) for quashing the examination and conducting a re-test. Nevertheless, the Supreme Court, which is now seized of the matter, has directed the HCs not to pass any further orders in the CLAT petitions before them. As per the latest report, a grievance redressal body was formed to look into the grievances of the candidates and the body is expected to file its report before the SC. Nevertheless, reports of mismanagement hardly come as a surprise given that the exam has year after year come under the scanner for its failings, including errors in the question papers, arbitrary allocation of seats etc. 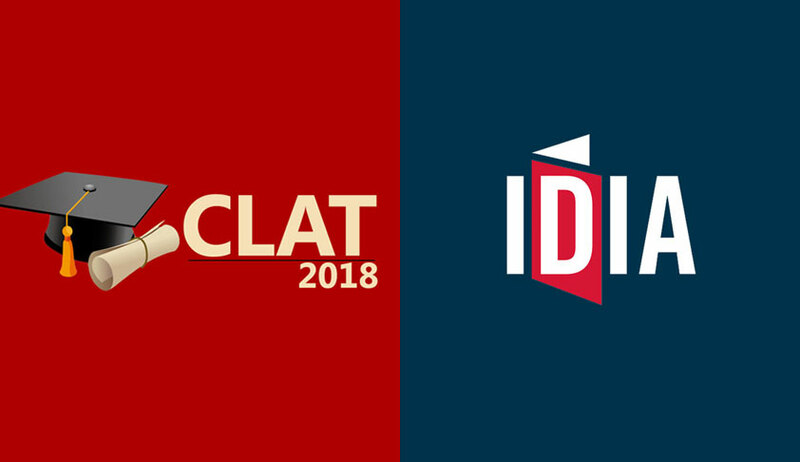 In this regard, it bears noting that a public interest petition had been filed in 2015 by IDIA's founder, Prof. Shamnad Basheer, for resuscitating CLAT and placing it on a more competent institutional pedestal. This petition is now being pursued in the Supreme Court by a team of IDIA volunteers and a set of pro bono lawyers under the aegis of IDIA's P-PIL (public interest initiative). One of the major shortcomings of CLAT over the years has been the high share of errors in the question paper/answer key, along with a flawed grievance redressal mechanism to address these errors. This year’s CLAT is no different, with at least 19 dubious questions/answers being apparent on a preliminary analysis. The figure, based on an analysis of the initial answer key released by NUALS (‘Initial Key’), does not yield any specific pattern of errors, and is a result of a combination of factors, ranging from poor drafting to downright negligence. Although NUALS came out with an amended answer key after receiving feedback from the candidates (‘Amended Key’), at least 17 questions/answers still remain suspect. A list of all these questions and the errors has been meticulously drawn up by an IDIA team and can be found on the following link. Some of the questions give one the impression that absolutely no review or vetting has taken place before they were accepted as part of the final question paper. “Q.115. In an interview for selection of two District Judges, four candidates, P, Q, R and S were shortlisted. All of them had 10 years standing as Lawyers. Who among them are most suitable? P – Very academic not much interested in litigation practice, very honest and impatient. Q – A patient listener, average in academics, thorough with Laws and sharp. R – Jovial, Patient, good academic records and actively involved in politics. The answer for the above question as per the official answer key is option ‘2’, i.e., candidates ‘Q’ and ‘S’. Apart from the options being vaguely worded, it is obvious that there is no one correct answer to this question. At a more fundamental level, it is distressing to find such a subjective question in an apparently ‘objective’ test like CLAT in the first place. Moreover, given that this question appears in the ‘logical reasoning’ section of the paper and does not presume any prior knowledge on the aspirant’s part, the question should have at the least, elaborated the “principle”, which the aspirants are required to apply while solving it. Even though the issues with the question are axiomatic and need no hair-splitting, let’s break it down nevertheless. First of all, the given answer assumes that certain virtues are more desirable for a judge than others, despite these distinctions being not grounded on any fool-proof logic or fact. It also assumes that certain other comparable traits make one candidate less worthy of the position than the other. For instance, an assumption has been made that involvement in politics makes a candidate less qualified for the post despite being ‘patient’ and having a ‘good academic record’. Nevertheless, one would do well to remember that a) there is no such bar on candidates in the actual selection process, and 2) even assuming there is, being involved in ‘politics’ is not the same thing as being a ‘politician’ or being an active member of a political party. As per the Cambridge online dictionary, ‘politics’ simply means ‘the activities of the government, members of lawmaking organizations, or people who try to influence the way a country is organised’. Thus, being involved in politics only means that you are interested in the activities of the government of the country and if at all anything, it augurs well for a district judge candidate to be interested in the functioning of the government, for which he/she is supposed to provide checks and balances! Similarly, the question framers have for some mysterious reason, favoured a ‘quick-tempered’ candidate (‘S’) over an impatient candidate (‘P’), ostensibly because the impatient candidate (‘P’) is ‘not much interested in litigation practice’, without saying anything about the interest of ‘S’ in litigation practice! The only learning that comes out of this question is that one should be careful not to leave one’s logic behind while framing a reasoning question! The given answer (as per the official answer key) is ‘1’, i.e., police station. However, the question has multiple possible answers. Supermarket is an equally correct answer as it is the only place where you do not normally find any law enforcement agencies. It may also be justified on the ground that it is the only place out of the 4 options, that has been created for the purpose of ‘selling’ goods, while all others render different kinds of ‘services’. Moreover, supermarkets are probably the only one among the 4 options, which have little or no government involvement in their day to day operations. If one were to second guess and reverse engineer the question framer’s logic, the only reason why police station may be the odd one out is because it is not commercial in nature unlike the other three (or probably the only place among these 4 without trolleys!). But, given the equally reasonable explanations for making ‘supermarket’ the odd one, it would be unjustified to award marks only to those who chose option ‘1’. Apart from such leaps in logic, the question paper and the answer key also suffer from the vice of downright negligence. For instance, a question in the general knowledge section of the paper requires the aspirants to identify the importance of May 13, 1952 in the history of Indian polity. The options listed include ‘the first sitting of Rajya Sabha’, and ‘the first sitting of Lok Sabha’. As per the answer key, the correct answer is ‘the first sitting of Rajya Sabha’. Nevertheless, as per the Lok Sabha website, the first session of the Lok Sabha also took place on the same day! Thus, there are two correct answers within the options provided. This error has not been rectified even in the Amended Key, clearly indicating that no care was taken to weed out erroneous questions/answers, which appeared in the Initial Key. The above examples are just the tip of the iceberg and the question paper, as well as the Initial Key, is replete with as many as 19 errors/ambiguities, even on a preliminary analysis. In an exam, where every single mark counts and affects the ultimate outcome, this is an obnoxiously high percentage of errors. Apart from the errors, the question paper also fails to stick to the prescribed syllabus. For instance, the prescribed syllabus for legal aptitude mentions that the section is intended to test “the candidate’s interest towards the study of law, research aptitude and problem solving ability. Questions may include legal propositions (described in the paper), and a set of facts to which the said proposition has to be applied. Some propositions may not be “true” in the real sense, candidates will have to assume the “truth” of these propositions and answer the questions accordingly.” Thus, the prescribed syllabus does not require the aspirants to acquire any prior knowledge of law and indicates that the exam is only meant to test their ‘aptitude’ for the study of law. Despite this, the question paper had as many as 18 questions, which can only be categorized as ‘Legal Knowledge’ questions. As has already been explained elsewhere, the grievance redressal mechanism meant to point out errors in the question paper and answer key was far from satisfactory. For instance, the online portal provided for this purpose allowed one to identify an error in only one of the following three ways: a) ‘Incorrect Question’, b) ‘No Correct Option’, and c) ‘Correct Option is’. Thus, a question having multiple correct options could not be brought to the organizing university’s notice under this mechanism. More importantly, there was no option to provide an explanation as to why one thought that the question or the answer provided in the key was wrong. This essentially meant that the grievance authority had no effective way to gauge what the grievance exactly was and had to second guess the same. It is reasonable to assume that the mechanism has been far from satisfactory, given that many errors in the Initial Key remain unaddressed even in the Amended Key. Even considering its tumultuous past, this year’s CLAT has set a new low. Given the nature of lapses, it is a welcome development that the Supreme Court has decided to step-in and facilitate a solution, without leaving the onus solely on NUALS. Similarly, it is noteworthy that the recent order of the Supreme Court in Professor Basheer’s petition has made the admissions to the PWD and NRI quotas subject to the outcome of the said petition. Although nothing can make up for the horror that the aspirants had to go through, the least one can now hope for is an equitable solution for all those who took the exam.